The sign reads: Special deal! 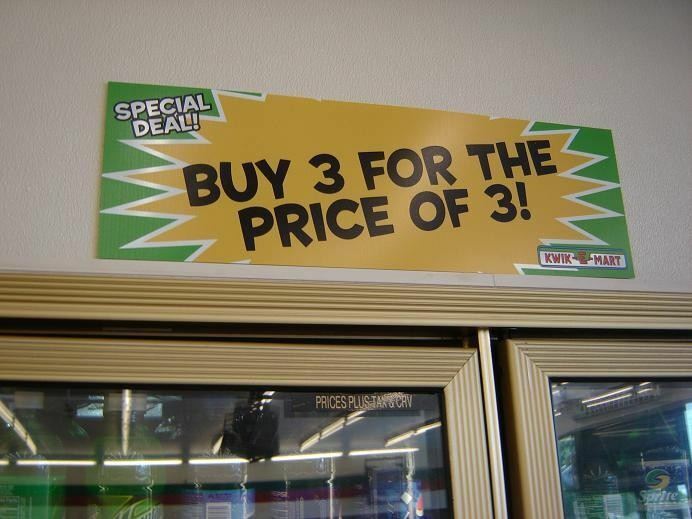 Buy 3 for the price of 3! SMART!